This weekend has been extended by 2 days and it has left me all muddled up about what day it is. 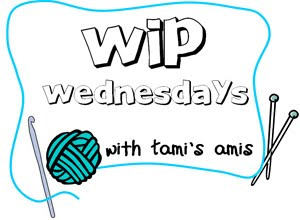 Thank goodness for other people blogging about WIP Wednesday or I wouldn't have had a clue what day it was. I have some progress to share on the Maplewing. It has been really captivating and I am coming to the end of the second repeat of the second chart. I love how the decreasing of the stitches is incorporated so neatly into the pattern. It is a very lovely pattern and it is surprisingly easy to keep track of where you are, as each repeat is divided up by a purl stitch. You know if you go wrong in a repeat because of that purl version of a marker. It's a really simple device, but an incredibly effective one. I also like how the edging is bordered by faggoting. I do love the appearance of faggoting, for some reason. 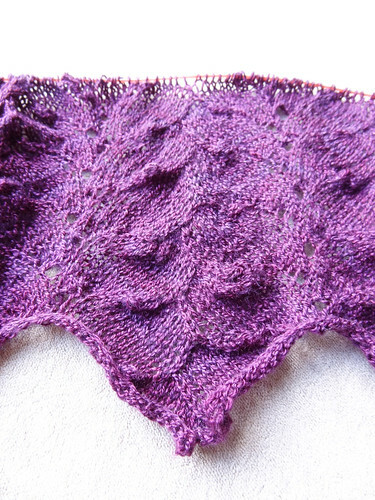 I love this project so much I want to knit it all the time, but I know that if I do that, I'll finish it too quickly and my enjoyment will be over! As well as working on this project, I wanted to work on a simpler project to watch during the French Tennis Open which is being covered really well on tv this year. I reached for my Ten Stitch Twist Blanket and decided that as it hadn't been touched in about a year it was time to pick it up or frog it. I decided to frog it. 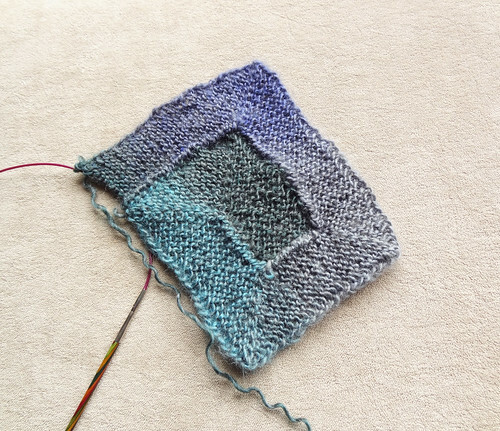 However, I loved how the pattern looked in the yarn I chose for the project, so I cast on for a Ten Stitch Blanket in the same yarn and I am enjoying that so much more than the spiral. I don't have to think until I get to the corners and it is really easy to work out where I am as soon as I pick up the project. It has the same look, but it is more simple for me to keep track of. I like how the corners look too. Nice and neat. I'm not even sure whether I like the look of the wrong side better than the right side, but I suppose in a blanket that is a useful trait to have. In addition I seem be craving the knitting of a Summer cardigan. I have settled on Laika by Ysolda Teague from Little Red in the City . I bought the yarn a few months ago, and you may notice the similarity between the colour of this yarn and the colour of the Maplewing! The yarn is King Cole Merino Blend 4 Ply. Which is a superwash merino yarn, so I'll be able to sling it in the washing machine if I need to. 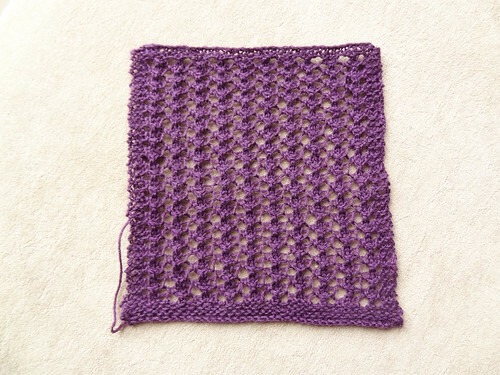 I have swatched carefully and washed and blocked it, before hanging it up with clothes pegs attached for a while, like Ysolda tells you to in the book. I think this trick is a useful one to employ. 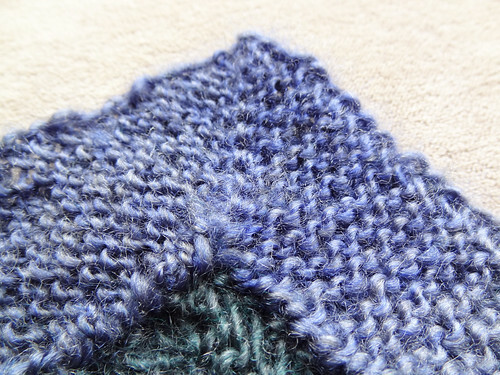 This stitch is very stretchy, but it will also drop after wear. I just love this swatch. 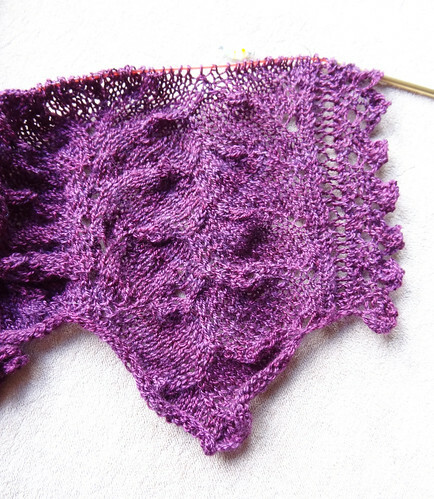 I love the drape of it and the softness of the yarn. 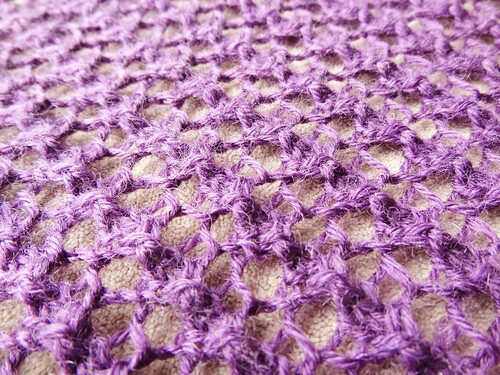 The stitch is so simple, but pretty too. I am itching to cast on. However, I am also determined to make this cardigan really fit. The pattern comes with tables which give the stitch counts for each pattern size and going by the measurements listed I need to work out how to incorporate my proportionally larger bust and smaller back. 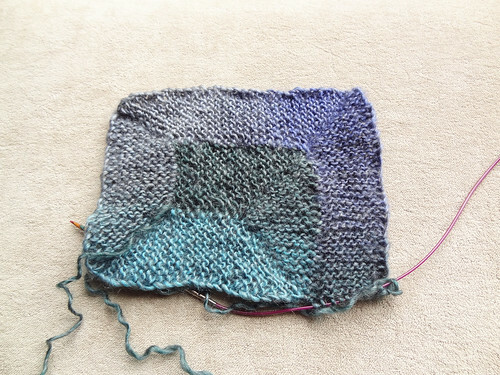 I need to work out where the increases go on the compound raglan. I know that if I just knit my bust size it wouldn't be an awful fit. The stretch and drape would hide the differences. But I am determined to make this cardigan really fit me beautifully. I want to do the pattern and yarn justice by making the best fit that I can. So I need to do some maths. This hasn't really been possible as I've been in lots of pain over the last week and have been guzzling Oramorph. This leaves me a little fuzzy to say the least. I'm hoping if I take it easy over the next few days I might find a window of clarity where I can work out the increase rows. 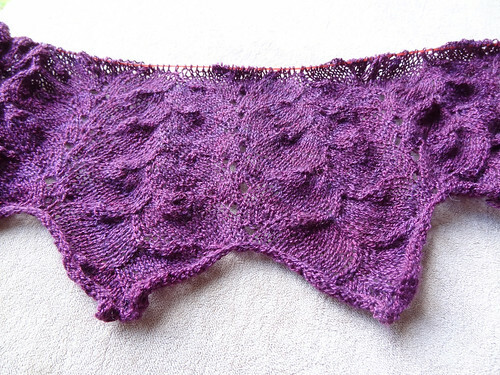 I really want to cast on this garment as I know I'll enjoy knitting it almost as much as I will enjoy wearing it! Wow this was a long post - sorry to be so long winded. I blame the drugs, they make me ramble! To look at other people's projects, click the button!